The PKT D1-E14 from Williams Sound is a high-quality personal assistive listening device that allows you to improve your hearing in conversation, while listening to a television program, or while just taking a walk. The included plug-in microphone sits neatly atop the unit, picking up the sounds near you while reducing background noise. The ergonomic design features easy-to-use tone and volume controls so you can make adjustments quickly and easily. 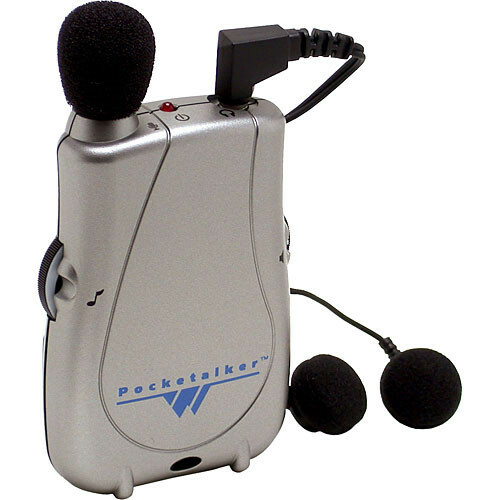 The top of the unit has standard 3.5mm mic and headphone jacks for easy connectivity and wide compatibility. The unit uses two standard AAA batteries for hours of continuous enjoyment. Box Dimensions (LxWxH) 8.5 x 7.0 x 2.5"
It would have a Receiver: 5-Year Limited Warranty and Accessories: 90-Day Limited Warranty. how much db gain is there?